Age Restrictions: Suitable for all ages - young and old! 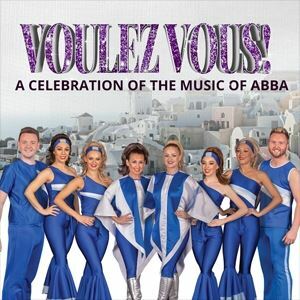 A spectacular celebration of the songs of Europe's original pop four-piece ABBA! Say thank you for the music at Viva Voulez Vous. With all the hits you love to sing along to from their chart-topping career, this is ABBA but not as you ?Knowing me, Knowing you' know it. This brand new show for 2018 has been produced by the Viva production team and is performed by the exceptionally talented singing and Dancing Queens of the Viva cast. Join us as we Have A Dreamof the Swedish pop quartet that swept the globe. More than a tribute, this is a one of a kind experience. It's a full night out, with a show lasting for around 2 and a half hours with an interval ? your whole evening is sorted! All are welcome, young and old, though the show is not crude or 'blue' some content may be of an adult nature and Junior tickets are booked at the parent or guardians sole discretion.